“Young man, do things. Do accessories. 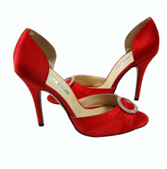 Do shoes,” the legendary Diana Vreeland advised a young Manolo Blahnik in 1971. 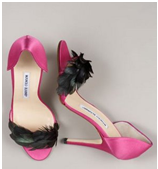 Such advice couldn’t have been greater to a creative artist like Manolo Blahnik. He had been going through a more confused time in his life, unsure of what creative direction to move in—and this advice sealed the deal. Anxiously, he moved forward and pursued the shoe-design field and created an entire fashion empire that did not exist before—adding couturier techniques and detail to ready-to-wear, high fashion footwear. Let’s take a peek into the artist’s views and muses. How did Blahnik become a shoe designer? “It was one of those accidents of life. I could just as well have been a milliner or fashion designer,” he said. Diana Vreeland encouraged him to work on his footwear designs and to make it a reality—which in turn, created a new shoe empire that had never existed before he hit the scene. She told him to dump the costume design path, and to “concentrate on the funny little things on the feet.” And so he did just that. Techniques behind designing shoes: “I’m not an intellectual,” he confesses, “but I am a voracious observer of people’s movements and attitudes in the past and now. I’m very curious and I belong to that group of people who use what they observe and let it come out through what they do.” Blahnik loves the past, reminiscent and idiosyncratic English style—which is why he claims London as his home base. 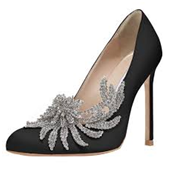 His fabulous clientele: “I design for confident women who know what they want.” When creating each individual shoe, Blahnik creates an imaginary scenario of what type of woman would wear the particular shoe. Whether it be a society woman in France that attends charity balls, or a woman that hosts dinner parties for her family on her back porch—he has each scenario dreamed up for the potential buyer. Fashion mentor: “My aunt acted as a daily fashion mentor. I was so impressed by the way she carried herself.” She taught him how to hold himself as a sophisticated individual, and the ideals of elegance. Energy source: Spoons full of sugar, literally. On a mere 4-5 hours of sleep a night on average, Blahnik is not much for food. He’ll open up a bag of sugar and get the energy needed to design such sweet, delicious shoe creations.